SNLA is proud to maintain a list of Graduated LAX Alumni and their committed collegiate lacrosse teams. Please watch for their games on TV and remember to always root for your favorite SNLA Alumni! All SNLA Alumni are invited to play in the annual Alumni Game in December each year. Watch the SNLA Events page for more details! NCAA has Division 1, 2 and 3 lacrosse. Click on this link to find all the NCAA member schools. Click on this link to follow NCAA sports where ever you are! 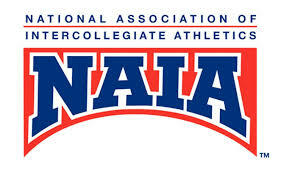 The NAIA has only one division of lacrosse for both Men and Women. MCLA has Division 1 and 2 lacrosse. Click here, then click on the drop down arrow to the right of the division you are interest in to find the member schools. Major League Lacrosse is rapidly growing with games on TV and online regularly. ESPN 3 Online - games and schedule of upcoming events.